Using metrics to your advantage can be time consuming and expensive. Spreadsheets and other decentralized systems keep your data dispersed and cause a lack of accountability. Sift through all the noise with LogicManager’s risk monitoring and reporting tools. Utilize our software to collect and communicate the right information to the appropriate individuals. Our best-practice solutions and templates help you effectively document and manage your risk monitoring activities, enabling you to allocate your limited resources in a more efficient way. Determining and utilizing the right number of metrics is crucial to anticipating what lies ahead. 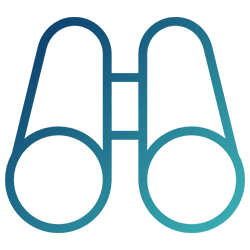 Our risk monitoring and control solutions track key risk metrics, such as KRIs and KPIs, so you can easily quantify risk-reward tradeoffs. Measure, compare, and evaluate the components of your business that are crucial for success with standardized risk assessments and a common framework. Leverage our interactive dashboards to aggregate metrics and drill down into underlying data. LogicManager automates the frequency of reminder emails and notifications, so you’ll never have to worry about missing a deadline again. Create recurring tasks to ensure the proper collection of key metrics and configure workflows for the retrieval of supporting documentation. 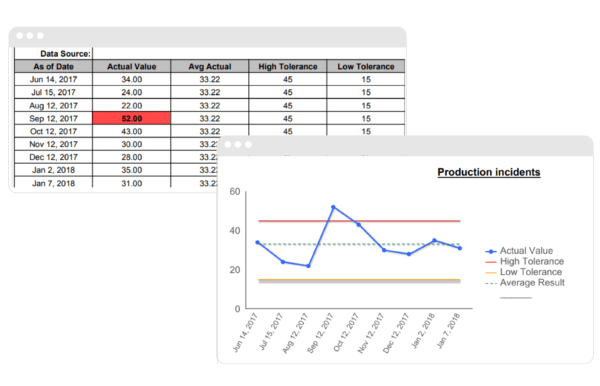 Risk tolerances set limits on accepted levels of variation, and LogicManager alerts you when metrics start to fall out of tolerance. Link risks to business metrics so you can detect increased threat levels and identify emerging trends before they materialize. Proactively manage incidents and issues. Too often, organizations fail to streamline, standardize, and centralize the case management process for issues and events. Leverage our customizable incident report forms and automated workflows so no incident goes unresolved. Our risk monitoring tools enables you to link incidents to processes, people, vendors, facilities, applications and more so you can identify and address emerging trends. Not sure which metrics you should be monitoring? Download our popular eBook, “Meaningful Metrics: Using ERM to Inform Strategy,” to learn how to improve efficiencies, identify new opportunities, and prevent risk events at your organization. Explore our risk assessment tools.